Ralph Lehr Leitsinger Sr. was born May 9, 1931, in Gruetli, Tennessee, to Herman Pete and Margie (Lehr) Leitsinger. He grew up on a farm on a street now named “Leitsinger Road” and was the second child of seven children who would live to adulthood. Three siblings James Cecil, Helen Pickett, and David preceded him in death. Three younger sisters Louise Furden, Ruth Phil, and Alene Dixon survive him. The great depression was just eighteen months old, and he and his family suffered many hardships. It was a hard life with little opportunity. He had relatives living in Michigan, so in the late forties as a young man he moved to the east side of Michigan. He tried an automotive factory job for a week and developed a dislike for it. There were builders in his family, and he had a strong interest in carpentry. He decided that’s what he wanted to do. He then met and married his wife of now 66 years, Mary Rappa, who survives. They raised their family of two children, Ralph (Nancy) Leitsinger and Cheryl Leitsinger. Cheryl preceded him in death in 2006. 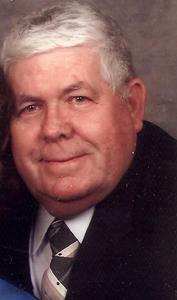 He now has twelve grandchildren and five great grandchildren. He was a high energy, get-it-done type of guy with a strong work ethic. His career in carpentry included rough and finish carpentry, commercial carpentry, building houses, garages, additions, recreation room and a full spectrum of building projects that helped develop his skill set that included learning many trades. He also built the houses in which he lived. He took pride in his preparedness with his skill and tools to complete a project. Money was not his main objection as he liked to help people, and he really liked to work. Usually he didn’t consider it work, just something he felt he was meant to do. His hobbies were collecting tools (he had an impressive collection), and watching wrestling on TV. He had a favorite dog, Skeelo, and a cat, Colorado. In his later years, one winter he noticed the wild turkeys on his property looking hungry. So, he decided to feed them. Over the years what started out as a few birds grew to seventy plus birds. These birds would sometime become impatient waiting to be fed and would knock on his door. Around eighty years of age his struggle with dementia started. During this time period he enjoyed golf cart rides, playing pool, his cats, county fairs, talking and visiting with friends, family, and new acquaintances. He was very social and liked to do things and be involved. Even in his dementia state he was often still working and being responsible for some project. After battling this disease for seven plus years and being worn out from all the real work he did during his lifetime, he was exhausted. With the help of care givers, his family, and Grace Hospice he peacefully passed away at home in Portage, Michigan, on March 25th, 2018. He will be buried at Lakeview Cemetery, Clarkston, Michigan at 2:30 pm on Wednesday March 28th, 2018. If you would like to make a donation, in lieu of flowers, the family is requesting donations be made to Grace Hospice of Portage, Michigan, who will use the funds to off-set their cost from people who do not have insurance.